Nous venons de passer 1 mois dans cet appartement. Bons équipements, lit confortable, propreté non seulement dans le condo mais aussi dans tout l'immeuble. Nous avons eu droit à 28 couchés de soleil, ce qui prolonge les journées. Nous recommandons cet emplacement et merci à Jésus pour sa disponibilité. Tout en parfait état et ordre, très propre, très beau couple. Nous sommes très heureux avec ces invités, revenez quand vous voulez. A lovely appartment, only a 2 minute walk from the beachfront and a 7 minute walk from the marina. Restaurants and bars are bountiful and for all budgets. Supermarket 3 mins walk if needed. About a 1 mile from nearest train station. Fully air conditioned in both the bedroom and living space which was great. Wifi was reliable. Worth noting there is a communal pool too which is massive, used it twice and a excellent addition to our stay. Lovely balcony with views out to the beach and back toward the mountains. 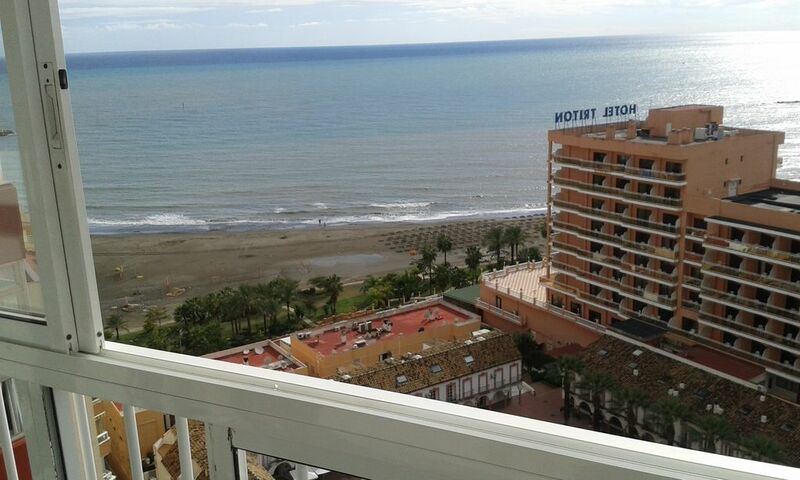 Benelmadena is a great place to visit and this was a fantastic appartment. We loved it! Top floor, perfect view! Weather was perfect. Comfortable in apt with AC, nice balcony. We spent our time there. Also a huge pool, people were nice... Close to marina. Food was great. But don't rent a car! You don't need it. Everything is close and parking is expensive. Thank you for your pleasant stay Cliff and Diane in our apartment, you are great guests, the apartment has been very clean and tidy, thank you very much, I regret not having seen English channels on the television, but you only had to have programmed the decoder, just like we comment, each client has different language and preferences, you can also watch their favorite programs via Internet - WiFi of the apartment. We loved this apartment. It is very CLEAN and comfortable. The location is right where you want to be close to the Marina and the promenade. We loved the deck as you can choose to have the windows all open on a hot day or close them on a cooler day, your choice. It is a nice sunny spot in a nice building. The apartment has very good lighting and Jesus is very pleasant and helpful. Definitely recommended!